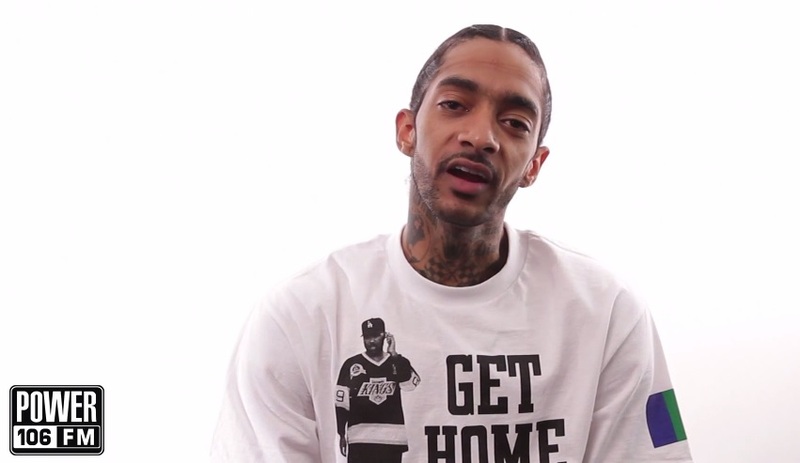 Power 106 sits down with Nipsey Hussle off the air for the latest episode in their Q&A web series, “Now You Know.” Nip lets his personality shine through the lens as he has fun with the interview and doesn’t take himself too seriously. Take a look as the California rapper credits Tupac, Bob Marley and Marvin Gaye as being his top three favorite artists of all time, admits he feels like Timbaland is the greatest producer of all time and much more. Before heading out, the rapper also addresses what his first car was, his childhood celebrity crush, worst job experience and favorite restaurant he enjoys eating at. This entry was posted in Interview, Video and tagged crenshaw, hip hop, Interview, nipsey hussle, now you know, power 106, rap. Bookmark the permalink.